PEF bioplastic could solve some of the problems caused by PET. The lengthy and energy-intensive production process has so far prevented mass production. ETH Zurich researchers have now developed a method that could finally make the PEF marketable. The problem of plastic is on everyone's lips. Every year, some 50 million tons of polyethylene terephthalate (PET) alone are produced, and the trend is rising. 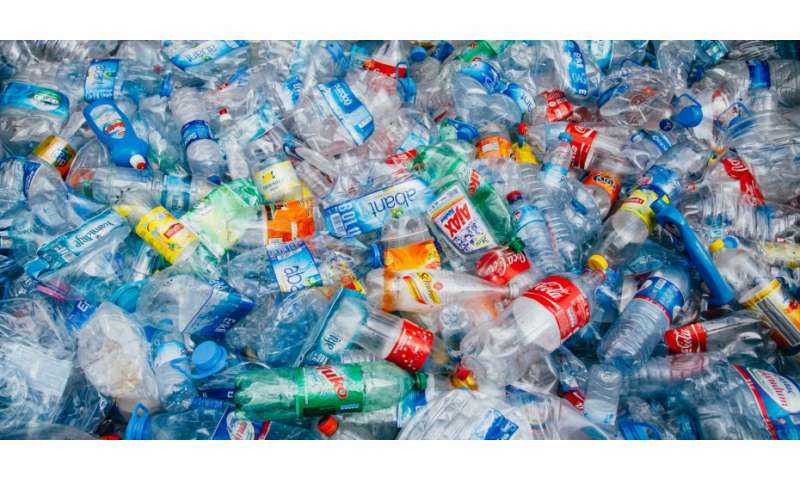 Since recycling is usually cost-intensive and technologically difficult to implement, a great deal of plastic waste ends up in the oceans or is incinerated, causing massive CO2 emissions. The use of crude oil in production is also problematic. However, none of us can do without plastic entirely. "Polymers and plastics are very useful materials that make a wide range of everyday applications possible in the first place. Lighter cars, smartphones, modern clothes and many medical devices would not exist if we hadn't invented polymers," says Jan-Georg Rosenboom, a fresh Ph.D. graduate in the research group of ETH professor Massimo Morbidelli at the Department of Chemistry and Applied Biosciences. "The question is how we can reduce the negative environmental impact of plastic while maintaining its benefits for our society." One answer could be biobased polymers, so-called bioplastics. These have very similar properties to conventional plastics, but are made from plant-based raw materials instead of crude oil. 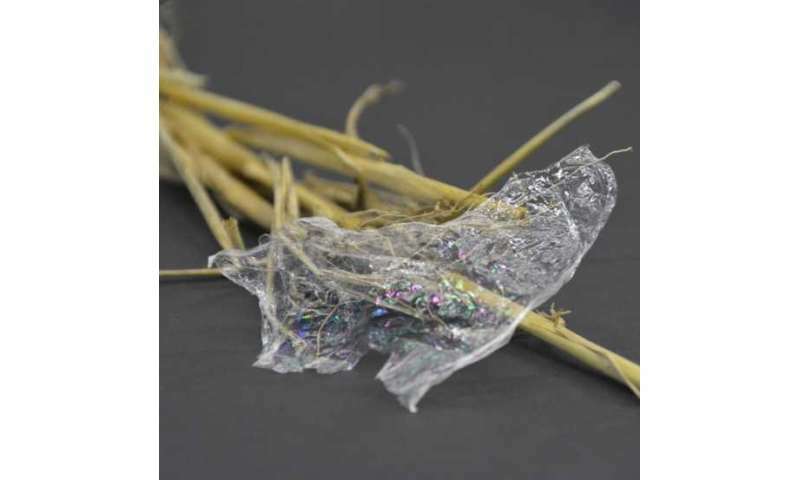 Some bioplastics are also biodegradable and enable better composting. Massimo Morbidelli's group is investigating a promising bioplastic called polyethylene furanoate (PEF). PEF is chemically very similar to PET, but consists of 100% renewable raw materials such as forestry and agricultural wastes. PEF bottles, for example, require less material, are lighter and more stable than their PET competitors and make beverages last longer. Although PEF is not biodegradable, it can be incinerated in an environmentally friendly manner besides recycling, as no additional CO2 emissions are produced. The fact that PEF has not yet been able to establish itself on the market is primarily due to its time- and energy-intensive production. The ETH doctoral students Jan-Georg Rosenboom and Peter Fleckenstein, together with ETH professor Giuseppe Storti, have now developed a method that could enable the commercial breakthrough of PEF. Yesterday their research results were published in the journal Nature Communications. "Our method reduces production time from several days to a few hours. In addition, discoloration in the end product can be avoided in contrast to previous processes," says Jan-Georg Rosenboom and explains: "Instead of making the usual "rope-like" polymer chains with two end points react, we first tie rings from the latter, which thus have no ends anymore. These rings can then be polymerized to PEF much more quickly and in a controlled manner. This is because no chemical by-products are produced and have to be removed, when the rings are opened and connected to form the final long "polymer rope". The very fast reaction within minutes enables PEF products that are superior in material properties to PET and reduces energy requirements."